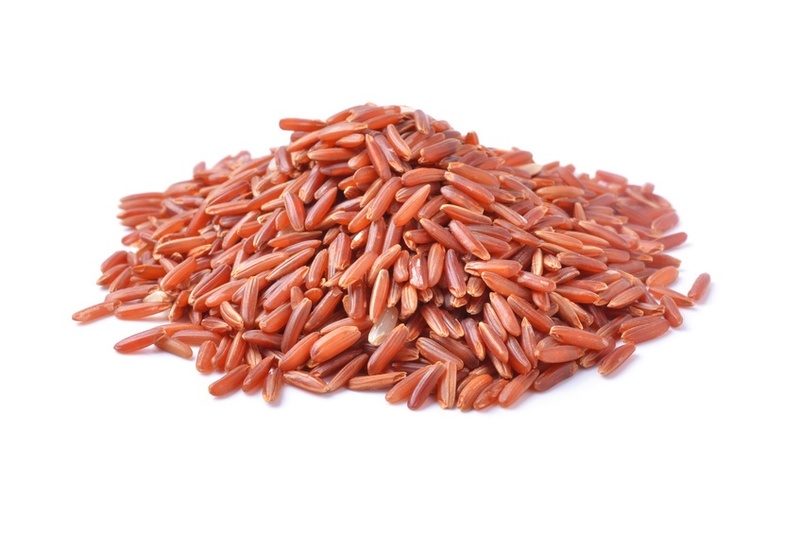 Red Rice is unhulled rice with a red husk. Like other unhulled rices, it has a nutty flavour and a high nutritional value, thanks to the fact that the germ of the rice is left intact. When cooked, the natural red colour in the bran, or hull of the rice, leaches out and dyes the rest of the dish red to pink. Red rice can be served with a variety of foods in addition to being eaten on its own.